At one of the startup showcase panels here, I discovered Vox.io, a real-time communication app that makes connecting with people by voice or video simpler than I've seen in any other service. Since I'm always looking for apps that might seriously disrupt the cellular calling juggernaut of the big wireless companies, I was interested. I talked to, and got a demo from, the 29-year-old founder of the Slovenia-based company, Tomaz Stolfa. Here's what I learned. You can use the app on the desktop or on your mobile device, open voice or video calls on the fly, and even capture the content of the calls if you want to. The coolest thing about vox.io is how easy it is to initiate calls. It reduces a multiple-click process to just a couple of clicks, even if the person being called does not have the vox.io app. It does this in a couple of different ways. You can invite a non-vox.io-using friend to a call by sending them a simple link via email, Twitter, IM, or Facebook; when they click the link on the other end, two large squares appear on their screen--one green saying "accept", the other red saying "reject." After the friend hits "accept" the call is connected. You can create a group call by sending the same link to a group of friends. The app does video calls (only two-party, not group) in much the same way. Vox.io gets really interesting, and potentially disruptive, when it comes to calls between mobile users. The mobile app is iPhone-only, but looks extremely easy to use. You can invite a mobile user to a call in the same way described above, and they simply accept the call and it's connected. The mobile app contains your contact list, your favorite (most called) contacts, and your call history. You can also "search and call" wherein you search for another vox.io user using the terms "call [your friend's name here]". Stolfa searched for "call Phillip" (one of his contacts) and the vox.io link showed up third in the Google search results. He then clicked the link and a call was initiated between the two. I tried this without having signed up for an account. 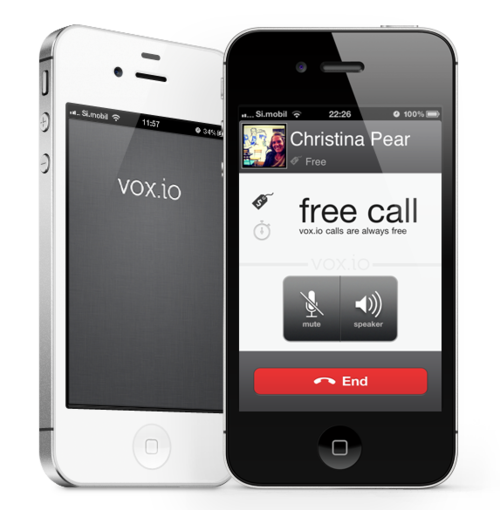 I searched "call Tomaz" and sure enough, the vox.io link came up first in the search results. Thinking this might be a special case, I did the same thing for another of Tomaz's contacts, and the same thing happened. Tomaz says they made no special arrangement or keyword buy from Google to make this happen. 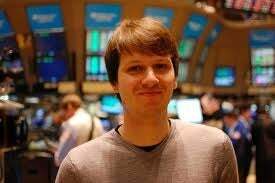 For now, vox.io makes its money by charging users 1 cent per minute for domestic voice calls, and 10 cents per minute for international calls. The rates are very similar to those of Skype and Google Voice. Tomaz says the app is really a hybrid of a free-standing app and a browser-based service. Like a web service it enjoys easy access to the web and like an app it easily exploits the phone hardware--namely the microphone, speakers, and camera.